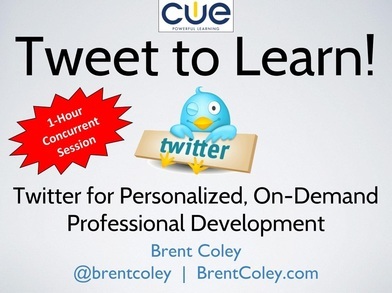 With Twitter, you can have a PLN (Professional Learning Network) made up of educators all over the world, all sharing resources on how to improve your craft! It's been said the smartest person in the room is the room. Why settle for the room when you can have the world? As administrators, we are to be instructional leaders, but too often we get trapped in our office. In this 3-hour workshop, Brent will use Google Docs, Forms, and Sheets to share and help you create practical tools to enhance classroom walkthroughs, parent/staff communication, PLCs, and more.